The beginning of a new year is often an exciting time and for us at TolaData, things were no different: we went places! That’s right — in January, our Product and Implementation experts Ninette Adhikari and Paulina Sobieszuk flew to Uganda to run a TolaData workshop for the DYNAMIC program team, and we can’t wait to give you the scoop. DYNAMIC (short for ‘Driving Youth-led New Agribusiness and Micro-enterprise’) is a multi-partner program led by GOAL Uganda, which works together with Mercy Corps, Voluntary Service Overseas (VSO) and Restless Development to improve agricultural and market development in the north of Uganda. A year ago, a smaller team within DYNAMIC had been using TolaData and they now wanted to roll it out across all partner organisations, so that data could be standardised and managed in a similar way across the entire program. 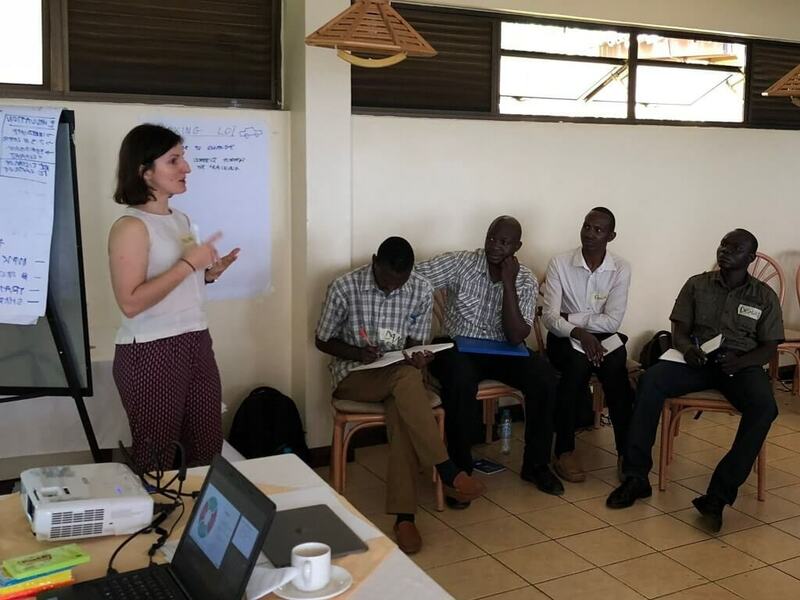 The three-day workshop, organised by GOAL Uganda in Kampala, touched on more than just the practical aspects of TolaData such as setting up programs, tracking progress and analysing data. It also prepared all 18 participants to become TolaData trainers in their respective organisations, by covering topics like best practices in software training as well as adapting one’s training to different learning styles. DYNAMIC participants listening in rapt attention during Paulina’s presentation at the workshop. Much to our delight, the participants were full of praise for TolaData. Many found its features and functionalities a breeze to navigate, while the platform on the whole felt natural and easy to use. 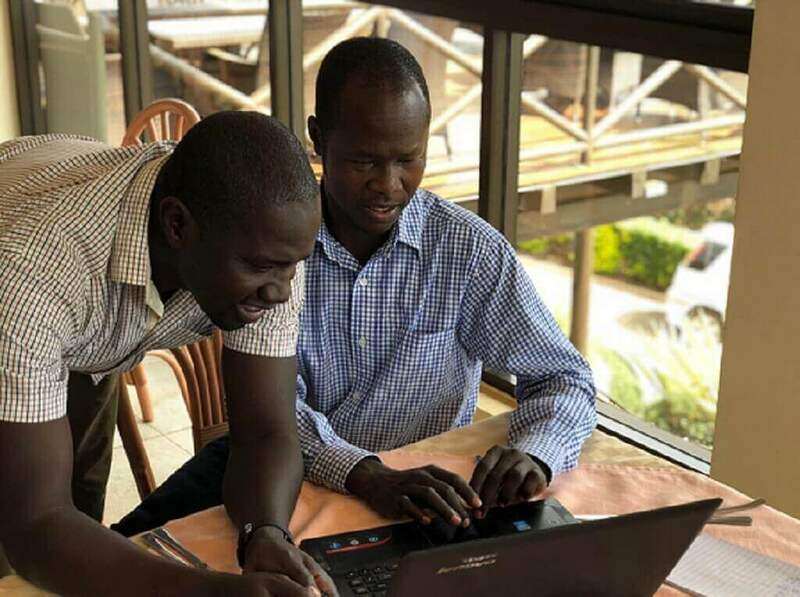 As monitoring and evaluation (M&E) professionals, they were most excited about how TolaData works even in remote places with little to no internet connectivity, thanks to its offline functionality which saves data within the system and syncs it back up as soon as the user goes online. The experience in Uganda marked a milestone in more ways than one: It was also Ninette and Paulina’s first time conducting a training together. Ninette brought with her a deep and thorough knowledge of TolaData while Paulina had an extensive training background, both of which combined proved to be a huge success. “It definitely takes time to establish a good working relationship with your co-trainer; to know the other person and to learn how to read [his or her] emotions, or what [he or she] is thinking at a given moment, so that the participants perceive you as a team instead of two individuals who are trying to outdo each other. I feel like we’re at the beginning of a great team,” said Paulina. When asked how they would rate their time in Uganda, both Ninette and Paulina replied with a unanimous “11 out of 10!” What made it amazing for Ninette was getting first-hand feedback from TolaData users and seeing how the platform made a difference to their lives. Paulina, on the other hand, found the participants’ enthusiasm most encouraging.